Dewpoint Waterproofing is well known for high efficiency home waterproofing techniques and practices. We always hard connect our footing drains for continuity and we sleeve all penetrations that our drain passes through. This allows for maximum water flow to daylight. Our drain is always brought to daylight on two opposite sides of the house, and we use factory fittings for corners and end outs and all transitions. We also overlap our dimple boards and spray above manufacturer's recommended thickness. 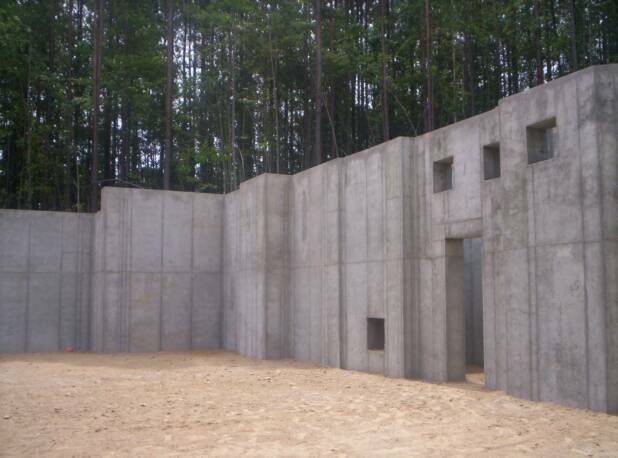 You can find more information about this, our innovative, high-efficiency design for basement and crawl space waterproofing in NC. There are many benefits to our technique. Some of the results of our practices include improved quality of air, increased efficiency of energy, increased level of comfort, increased longevity of the structure, and eliminated mold and mildew. We feel Mar-Flex is a leader in the tar industry and we have had 100 percent satisfaction with all of their products. Because the application of tar is inherently messy and requires high pressure equipment, we encourage do-it-yourselfers to let professionals handle this task. With the tar purchased, our waterproofing contractors will take over, deliver the necessary materials, and make sure we are the ones who get messy.